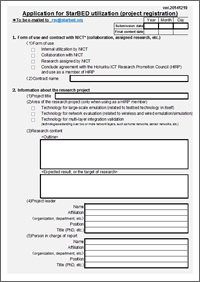 The following documents are required to make use of StarBED. 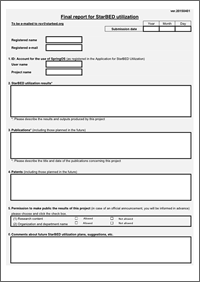 Please click the document name or on the image itself to download application forms. 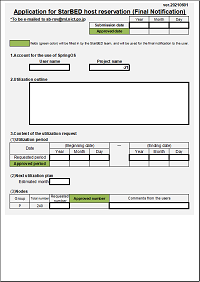 Please read the cell comments for instructions about how to fill in the forms. If the use of VPN is necessary, please submit the VPN Utilization Application. *: Mac OS users may experience differences when printing in terms of layout, number of pages, etc. In this case please use the "Scaling" option in the print dialogue and select the appropriate number of pages.